Scientists at the University of Liverpool have observed “double whirlpools” in the natural world for the first time. Until now, the unusual fluid dynamics phenomenon had only been theoretically envisioned. While eddies (whirlpools that can span hundreds of miles in the open ocean) are not uncommon, two connected eddies spiraling in opposite directions was previously unheard of. “Ocean eddies almost always head to the west, but by pairing up they can move to the east and travel ten times as fast as a normal eddy, so they carry water in unusual directions across the ocean,” said Chris Hughes, study lead-author and University of Liverpool oceanographer. After further investigation, Hughes and his team learned that modons are not actually as rare as once thought. Satellites had been recording images of the phenomenon for decades, though scientists had not known where to look for them. 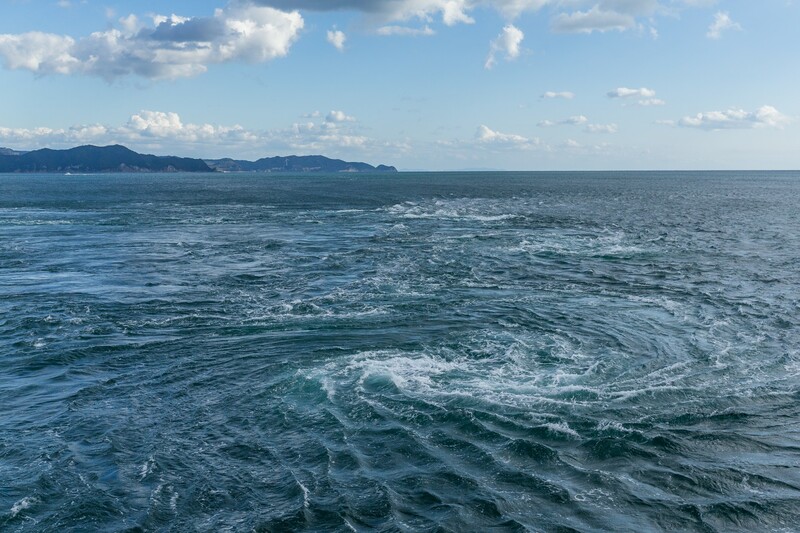 Although there is still much research to be done, scientists believes that a double-whirlpool may form when two whirlpools collide with each other in the ocean. It is also possible that modons emerge as a result of friction impacting a whirlpool close to the coast. After formation, a modon casts a U-shaped underwater vortex and can endure for up to six months. The counter intuitive effect of water's inertia. Sea rise charts have some areas doubling and tripling the rate of rise over other areas even though the fifty year outlook is the same. Water leveling itself over thousands of miles takes time on a large scale. Atlantic and Pacific oceans are still a meter off from the oceans' rise after the last ice age. This world scale movement of water causes currents and temperature in local areas far out of the normal. Same as airborne weather is doing now. The whirlpools of Naruto, Japan. 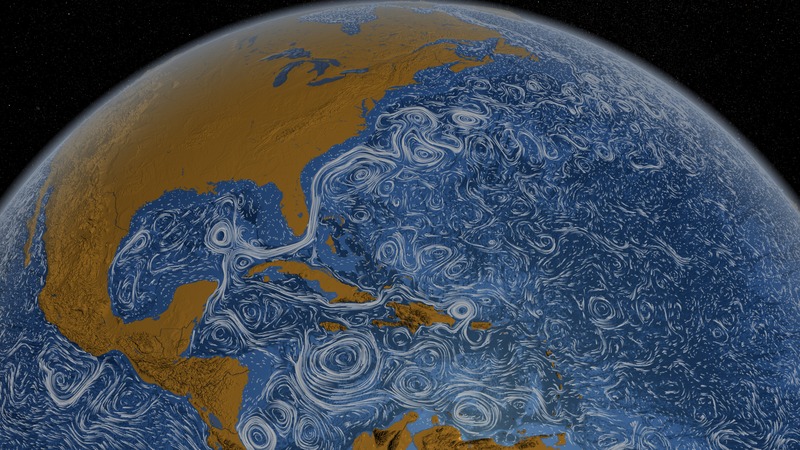 A visualization created by NASA shows the ocean's currents and whirlpools from above. A visualization from the University of Liverpool shows the two inter-linked whirlpools.